Reading a magazine and doing your nails - that always sounds good. Today I'm gonna do a super easy nail design. Start, as always, with a base coat (CND Stickey Base Coat) then follow with a two coats of white nail polish (Alpine Snow by OPI). Using a dotting tool put dots over the first half of the nail sporadically with black nail polish (Black Onyx). You can also accent ring finger by painting it with silver nail polish (OPI Serena Glam). 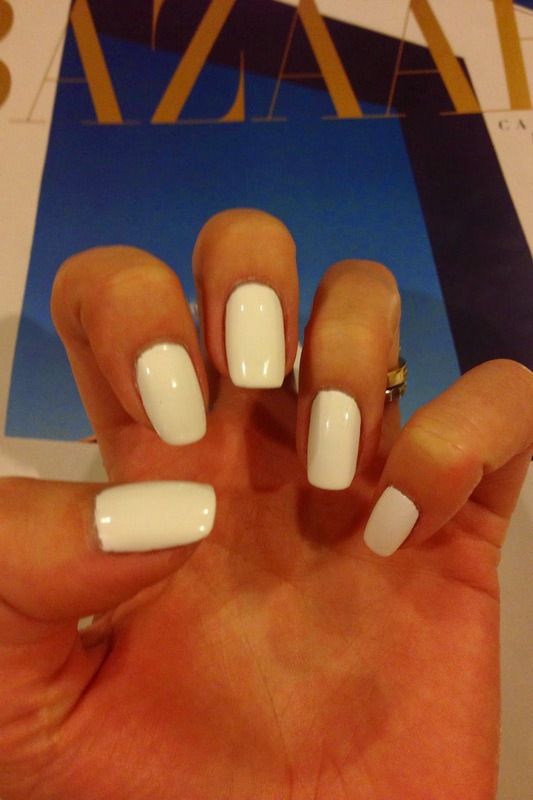 Apply a top coat (CND Air Dry) and enjoy your nails.